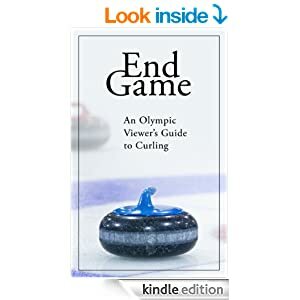 There’s been some discussion on the internet and even classic media regarding Canada’s loss to (South) Korea in the 3-4 game at this years Womens World Curling Championship. Korea, starting with hammer, appeared to have a plan of attempting to blank each end and reduce the game to as few ends as possible. Ideally, blank 9 ends and have hammer tied coming home. The general criticism has been Heather Nedohin and Team Canada allowed Korea to play this way and should have attempted a more aggressive game plan. I wanted to know if it was actually the case of strategy, shot-making or some other reason (maybe their opponent played well), that Canada could lose the game and miss the Gold medal game for the third time in four years. 1st end: Tight centre by CAN, KOR throws to the open side, back eight foot. Two hit and sticks, then Canada rolls out and KOR peels out the end. 2nd end: Centre guard by CAN, KOR again throws to the side. CAN makes a good come around (rather than hitting the open stone), but KOR successful in hitting and rolling to the open. A great double by CAN third Beth Iskiw gets them out of the end, another blank. 3rd end: Tight centre guard, KOR throws to open side, CAN again comes around centre guard, back four foot. KOR makes a great freeze to the top of the CAN stone. First stone from CAN second Jessica Mair is a little wide, but KOR also misses and leaves CAN sitting two. Little short on the next come around, allows KOR to make a nice hit and roll. Beth makes a nice tap to leave CAN sitting two. Eventually, KO forced to a draw to the button (with some backing) for one. Game on? Can’t argue much with Canada’s strategy to this point. In the 2nd and 3rd ends, played aggressive and came away with a force with 7 ends to go. What should not be forgotten is the great shot-making by KOR. 4th end: CAN with hammer, down one. KOR draws into the four foot, CAN throws a corner and KOR plays a centre guard. CAN fails to bury and sits beside shot stone, it’s quickly removed by KOR. Nice double by Jessica, with a roll to the open, KOR follows with a roll back to the centre. Beth, attempting a hit a roll, rolls out of the rings. KOR draws to an open house with 2 guards, but comes heavy. Beth draws top twelve around the centre, KOR gets in behind to the eight foot. CAN skip Heather Nedohin ticks the front guard in her attempt to hit and sit two. KOR hits and stays and CAN is forced to a nose it for a single. 5th end: 1-1. CAN puts up a centre, KOR throws to the open side, Heather calls for a hit and roll. Two hits and sticks then Jessica rolls out. KOR peels out for another blank. 6th end: CAN puts up centre and KOR throws up a corner guard (uncertain if intentional or they were light). CAN draws to button but leaves a chunk open and KOR hits and rolls partially behind their corner. Trade hits then CAN able to sit two after Beth’s first. KOR rolls out on their hit and Beth puts her last fully buried, nearly biting the four foot. KOR is a little heavy and chaps and rolls to the open. CAN is able to sit two on their last, leaving KOR a difficult hit and roll for one. They are unable to execute and CAN steals. 7th end: 2-1 CAN, KOR with Hammer. CAN draws top eight and KO throws a corner guard. CAN plays the tap (rather than a centre). KOR hits and stays for second, CAN hits and rolls out and sits one. KOR elects to draw around the corner, but is heavy and bites the back of the house. CAN chooses to draw around the corner, in front of the KOR rock, to sit two. KOR attempts a freeze but taps CAN back. Beth makes a nice hit a roll. Great double by KOR third Seul-Bee Lee including a roll behind the corner. Beth makes a soft hit and roll to centre, CAN sits two. KOR makes a hit and rolls in front of the stones at the back of the house, but still in the open. Heather hits but jams on her own and leaves KOR sitting second and third. KOR skip Ji-Sun Kim hits the open CAN stone, but jams on her own and leaves CAN sitting second shot. Heather rolls out but a break for CAN as KOR rolls out and takes a single. 1. CAN hitting the open stone in the 5th rather than playing a draw. Though the rock was at tee line and very possible to make a hit and roll. Nearing the mid-stage of the game, perhaps Heather wants to avoid giving up a deuce and is being patient without hammer. I don’t mind this at all. 2. Tapping their stone in the 7th rather than playing a centre guard. I’d prefer a guard over the tap. A centre could not be removed and would force KOR into the draw game that CAN would like to see. But it is consistent with Heather’s strategy which appeared to be conservative without hammer. The end result is a single, so the mission is accomplished. 8th end: 2-2, CAN with Hammer. KOR plays a tight off-centre guard. Canada draws around the wide side to top four foot. KOR attempts a draw around the centre line side but comes a little deep. CAN freezes to their own, taking the same line as their first. KOR then draws beside that stone on the centre line side. Likely KOR sits one (its close) and three, CAN second and fourth. CAN peels the guard. KOR plays a guard, CAN peels. On Beth’s last they discuss possibly making a play in the house, but instead peel the guard. KOR draws to top eight in front of their stone. Heather hits it and now sits first and fourth. KOR makes a hit on the yellow stones, removing shot rock, leaving CAN a testy hit for a single. Heather makes it. 9th end: 3-2 CAN, KOR with Hammer. CAN heavy twice with their attempts at a centre guard. They then choose to hit the tight KOR stone with Jessica’s first, rather than throw a centre guard (that could be removed). Couple of peels then trade hits and a blank is the result. The 9th was simply poor execution (those guards aren’t completely “free”, you still need to make them). In the 8th, they could have made a play in the rings with Beth’s last shot. The peel was a conservative play, ensuring Heather would have a shot for one. Given the set-up of the house, I don’t blame her. If they come around to the button, KOR has a tap and now a steal is very likely. If they try to tap the top red out, they may leave the shooter in front of the other two yellows, covering their own tap. If KOR makes the draw from the other side to the button, again it’s a heap of trouble. 10th end: 3-2 CAN, KOR with Hammer. CAN top four, KOR throws a corner, then CAN with tight centre guard. KOR sits beside CAN rock, overlapping slightly, CAN taps and sits top eight in front of both stones. KOR plays tap on CAN stone from the other turn, lays second and third. CAN plays nice soft hit (even ticking the guard) and sits two top four foot frozen. KOR plays runback and manages to guard their own, sitting second. CAN attempts the runback and makes the peel. After a time out and discussion with their coach, KOR plays a tap to sit second, shooter sitting in front of CAN shot stone and third, behind the corner guard. Beth attempts a corner freeze, little heavy but CAN sits two. KOR makes hit and rolls towards the corner. Heather attempts freeze and, like Beth, taps and rolls toward centre to sit two. KOR makes the double and manages to sit 2, CAN a close third at the back eight. CAN chooses to freeze in front of shot stone and KOR then makes the tap for two and wins. Canada looked in good position sitting two in the top four after Jessica’s last, but an end changes quickly. Korea’s peel removes a CAN stone and guards their second shot. Beth’s raise attempt was missed and the danger begins. Canada could instead perhaps have placed another guard and played more aggressive, but that would still leave options for Korea to score two. I did not like the final shot call by Heather and would have preferred an attempt to tap and roll off the shot stone, behind a cover. Granted, an extremely difficult shot, but the freeze that was called left a fairly simple tap for two. In the 8th and 10th ends CAN was unable to get the rocks into favorable positions. KOR strategy was much less conservative (or boring) than it would appear. They placed a corner guard in the 6th (after a CAN centre) and again in the 7th when one down. They threw up a centre guard in the 4th when up one. KO played a draw to the side in the 1st through 3rd ends and again in the 5th end. This strategy worked in the 1st, 2nd and 5th due to half shots by CAN, and failed in the 3rd (single for KOR). To force an aggressive game, you can’t hit and roll out, you need to bury your come arounds and you can’t put free guards in the house. CAN only had hammer for the 4th and 8th ends. Without hammer, when faced with draws to the open by KOR, they hit twice and attempted come arounds twice. Some other options: throw a second guard (very aggressive) or corner freeze (slightly less aggressive). Don’t really fault their choices, but they failed to execute in three of those ends. And the rematch for the Bronze? Strategy started similar (draw to the side in the first end by KOR), but scoreboard and different missed/made shots resulted in a more aggressive contest, won by Canada. It’s my opinion Canada’s strategy was “aggressive enough” in the 3-4 game, and shot results and scoreboard (Canada unable to tie with hammer until 8th end) were a greater factor in the resulting low score. Only got to watching the finals between Sweden and the Swiss this evening (24 hours later). The Mad Men premiere took precedent last night. For anyone who has a Tivo, it still has the best (and smoothest) fast forward options and provides the ability to watch 3 or more hours of anything (golf, football, curling, the Oscars) in under 30 minutes. Some observations on this game. In the first end, Switzerland’s Mirjam Ott calls the first rock into the rings and Sweden’s skip and lead stone Margaretha Sigfridsson hits and stays. After the Swiss hit and stick in the top eight foot, Sweden attempts corner guards, which the Swiss proceed to peel (and Sweden puts them back up) until Sweden’s third finally hits the rock in the house. Mirjam could have opted to sit two up to thirds final stone, but never wavered from her strategy. Granted, I don’t follow a lot of International Womens curling (I keep hoping for the PPV channel), but is this a common approach? And I heard Korea was conservative. In the second end Sweden puts up a corner guard that is “free”. Ok, I’ve seen this game before. Down 2-0, a good call and great shot in the 4th end by Mirjam. Facing a Swedish stone biting the eight foot off to the side, she instead chooses to draw around a guard at an attempt to take 2. Executed perfectly and, after Margaretha misses the run back attempt, the Swiss draw for two points. The Swiss, down 4-3 with hammer, choose to blank the 7th end after Sweden comes into the rings with their first stone. I previously wrote about this strategy from the 2010 Brier here http://curlwithmath.blogspot.ca/2010/03/brier-notes-and-blanking-7th-end.html when a similar situation occurred in the round robin and finals with Howard and Koe. Lots of team discussions in the 9th end. Do Vic, Linda and Russ like to remain quiet when the teams are talking to benefit the Swiss and Swedish viewers? An entertaining back half of the game with 5 great finishing shots, including the final tap and roll for two by Mirjam Ott for the win. Only two more major events to go! Of course, I mean the Mens World Championship and the Last Chance Bonspiel in Hibbing, Minnesota http://hibbingcurling.com/lastchance.html. I'm in Saskatoon at the 2012 Tim Horton's Brier. I've been blogging at The Curling News. Keep reading me there all week and then look for a CWM recap in the near future.